Here is a list of lessons learned from Brian White, Director of Technology at Disney Mobile. Do parents and children have fun as part of your church? 2. With huge success comes huge RISK and huge CHALLENGES. Creative challenges – Mickey Mouse was created out of earlier business failure. Walt lost the rights to the first company he created. Financial challenges – Disney was launched during the Great Depression. He started full length animated films in a time when studios were in financials crunch. Snow White was 60x more expensive than any other venture Walt had taken. It cost $1.5M to make and made $8M. Morale challenges – In May, 1941 all of his artists went on strike. A rift was created between managers and artists, but Walt knew he was an artist pushed through the challenge. Are you taking risks and pushing through challenges or are you playing it safe to avoid challenges? 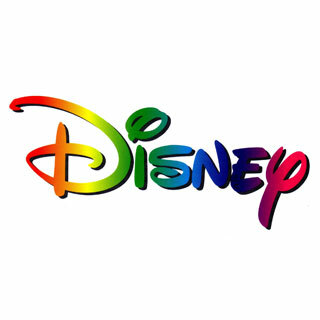 Since Walt’s death, Disney launched into home movies, bought ABC TV, purchased ESPN, launched a cable channel, a cruise line and purchased Marvel Comics. Are you afraid to embrace the future even though it’s scary and unknown? Disney was afraid to go into computer animation. John Lasseter was an animator for Disney and was fired for idea to use computers for animation. He went to work at Apple and started Pixar. Disney later purchased Pixar and John became the chief creative person for Disney. Is your church stuck in the past or getting creative to enter into new markets and reach new people? 4. Be a good Brand STEWARD – a brand is like a bank account. You can make a withdrawal or deposit for your brand. You need to build your brand over time and invest in it, not diminish it’s effectiveness by stewarding it poorly. You never want to cheapen your brand. Only add value to it! Are you trying to diminish expenses and play it safe, thus cheapening the brand? Or are you adding value to your community, city and church – thus building a strong brand? Only Disney could do that! As you plan services, ministries or events in your church, do you have a desired reaction in mind? 6. Don’t try to please EVERYBODY – the makers of the Mini Cooper are trying to please Mini Cooper lovers, not Dodge Caravan owners. Who is your primary audience? Are you ruthless about caring for them? Some of the best ideas come from people who we wouldn’t consider ‘artists’. How are you tapping into people throughout your organization for ideas? Are you getting into the mind of the people in your church to understand their Needs, Wants, Emotions, Stereotypes (Compass NSEW)? This is how Speedpass was created to help people feel like they were getting past the line. How are you keeping your staff focused on solutions, not criticism? Disney has 5 divisions. Everything Disney does comes from each of these. Do the different areas of your church organization have synergy and work together to accomplish the common purpose? I may only have a year or two left in the lives of my kids to utilize straws and the dollar store, but hopefully by then, they will have received enough positive motivation to be living out #1 and #2 above. It’s amazing what $1 and some straws can do! How are you creating positive motivation for the people around you? How many of us get excited about giving money away? Be generous – offer as much as you can, including as many weeks of severance as possible, job placement assistance, and health benefits. I was appreciative that our Board of Directors released resources to help our people. Be personal – do it yourself. I tried to have as many of the layoff conversations myself. If we had 2 conversations going on at once, our HR director led the other meeting. Be thoughtful – a week after layoffs, we had each team take the person who lost their job to lunch so they had time to celebrate their contributions. Be helpful – try to make connections or referrals with people in your church who might be looking for good employees. Be upfront – as soon as we knew we might have to do layoffs, we let our staff know our financial situation. It put people on edge, but at least it minimized surprise. Be available – our lead pastor and I made sure we were in our offices the afternoon after layoffs so that remaining staff could stop by to ask questions or process what they were thinking. Be quick – once we knew we were doing layoffs, we tried to move as quick as we could to reach decisions and meet with affected staff. We met with each person that was losing their job within the span of 3 hrs. Then we pulled our remaining staff together to let them know layoffs were over. My prayer is that you’ll never have to tap into these values, but they helped guide us during a challenging season. In countries like the Philippines, those living in extreme poverty often can’t afford electricity. But even if they could, they often have to spend what money they have on food. So who would have thought that a 1-liter bottle of water and 5 minutes of work could produce the equivalent of a 50 watt light bulb. Watch this to see how! Do you take time to celebrate progress? This week our staff is celebrating the conclusion of a season of hard work. For the last several months our staff and volunteer teams worked to provide an amazing Christmas experience and raise food and funds to advance the mission we’re on together. We labored in prayer together, spent long hours planning, and shifted people into the right positions to produce the best results possible. This week we (and I’m) taking time to celebrate what God did through our efforts. Do you celebrate with your family or team at the end of a challenging season or project? It’s worth it! 4. Have a contingency plan – you never know when something may happen you don’t expect. Be prepared to take an alternate route. 1. At work, do I have the opportunity to do what I do best every day? 2. Do I have a best friend at work? When you think about it, working in the zone of your strengths and having a strong friendship while you’re ‘in the zone’ really does make a huge difference. Here’s the link to the 12 questions.